Twitter, and Blogging and LinkedIn – Oh My! Why to leverage social networking tools for smarter, faster and cheaper B2G marketing. The basic goal of marketing is to get attention from a targeted audience, then to influence that audience in some positive (positive for you) way. If your job includes growing your pipeline and growing your business, gaining and retaining customers, growing your overall influence in your niche, and do so in a cost effective way – you need to read on. If your job is to make sure you keep pace with your competitors or set the pace for your niche, you need to read this. If you could reach key people in your niche, at least in part, with readily available tools that you can use yourself, would you seriously consider using the tools? Oh, and did I mention they have a minimal cost? LinkedIn, blogging and Twitter each represent low-cost and no-cost tools that allow you to reach and interact with targeted audiences. While there is no doubt that social media has changed the marketing landscape, there are still many doubters and very slow adopters. And even for many of those who have adopted one or more of the social networking tools do not use them to anywhere near the full capacity. In fact, many sign up and then sit and wait for something to happen. I still have conversations with people who still maintain that LinkedIn is only for those seeking work, that blogging is for those who have way too much extra time on the hands and that Twitter is for Twits. These people, and their companies, are way too busy for peripheral activities like LinkedIn, blogging and Twitter. As other media venues stagnate or shrinking, each of us still needs to reach key audiences. The information gathering habits of many in our market have changed and we must change with them. I am only highlighting 3 tools here but there are many others in use and some just coming along. Webinars, podcasting, web radio and video, FaceBook, GovLoop, TFCN and many others are out there offer good-to-great value for those who leverage them properly. Being on LinkedIn is no longer simply a ‘nice to have’ activity. If you are not there, you are in a rapidly shrinking minority. LinkedIn is a great venue for identifying key government influencers and those trying to sell to them- resellers, SIs, manufacturers and others. The entire roster of the top 100 contractors (the Washington Technology list) is represented on LinkedIn, as are most of the top GSA Schedule contractors. Overall there are over 50,000,000 professionals on LinkedIn. While not all are overly active, there is enough activity to merit your active participation. In order to begin to use LinkedIn properly, your profile needs to be filled with enough information to get the attention of those who view it. I will address this at my December 7 B2G Social media event – see the link at the end of this post. As of today (11/27/09) there are exactly 3,100 groups that have something to do with ‘government’ on LinkedIn. Aside from those, there are niche groups covering all manner of subject matter from various technologies, products and services. When you identify the right groups to join, you can share your thoughts, do research and otherwise participate in the discussions germane to your niche. Participation here raises your overall visibility in your niche and display an area of expertise. Cost of participating on LinkedIn? $0. While there are paid levels for those wishing to use more tools, basic participation is free. According to blogging diva Debbie Weil, blogging is different from conventional web sites because blogs are interactive, conversational in nature, created via an instant publishing platform (no IT staff required), offer an involvement factor that web sites lack, and can create a thought leadership position for the blogger. Web 2.0 thought leaders David Meerman Scott and Chris Brogan lead with their blogs. They post regularly (and intelligently) and both have developed massive followings as a result. Blogs also allow you to truly position yourself as a niche master or thought leader in a specific niche. This occurs not by regurgitating information from other sources but by evolving your own thoughts on the niche and commenting on the positions of others as necessary. Cost for blogging? There are both free and paid blogging tools, but even the paid ones are not expensive. Select the one that best suits your needs. The one I personally have the hardest time with – Twitter is becoming clearer to me all the time. Chris Brogan’s blog on Twitter is a great place to start: http://www.chrisbrogan.com/50-ideas-on-using-twitter-for-business/ . The first issue with Twitter for B2G is ‘are there really enough people in the government market using Twitter to make a difference?’ While open for debate, perhaps the best answer is the number continues to grow. The publications, service providers, many thought leaders and government contractors are officially tweeting on a regular basis, as are many government agencies. Following some of the publications (WashTech and others) on Twitter allows you to get instant news updates, calendar reminders and more. Twitter is becoming more and more widespread in B2G marketing and it can no longer be ignored. Cost for tweeting? Twitter is free. So why should you bother to engage in using these social networking tools? If your job includes growing your pipeline and growing your business, gaining and retaining customers, growing your overall influence in your niche, and do so in a cost effective way – you need to start using these tools on behalf of your company. If your job is to make sure you keep pace with your competitors or set the pace for your niche, you need to be here. Citibank commissioned a study, reported by Reuters, that concludes that most small businesses are not yet using social media. "Few U.S. small businesses have adopted social media outlets such as Facebook and Twitter for business uses, according to research released Thursday" according to the beginning of the Reuters article. The article continues: "Three-quarters of small businesses say they have not found sites such as Facebook, Twitter and LinkedIn helpful for generating business leads or expanding business in the past year, according to a survey conducted for Citibank Small Business of 500 U.S. businesses with fewer than 100 employees....Also, 86 percent said they have not used social networking sites for information or business advice. Ten percent said they have sought business advice and information on expert blogs." This is not an indictment of social media. This is a lack of understanding of the value of social media for businesses of any size. part of the blame lies with the social media, and a part of the blame lies with the businesses themselves. Education has to be a component, largely self education. Businesses need to try the various social media to see what it can do for them, and the platforms themselves have to create outreach and education programs to attract more businesses. In order to attract more businesses to each social media platform, the value proposition has to be explained in terms that make sense to the businesses. For a platform like LinkedIn this should be easier than a platform like Facebook or Twitter. Was I surprised at the findings of the Citibank study? No. Even in the B2G market the vast majority of contractors have a long way to go to maximize the value that social media platforms can bring to the table. Like almost everyone else who has joined LinkedIn, I sat there for over a year and did not do much. I would look at the screen and nothing would happen. I would lean my head against the screen and whisper "connect with me" and nothing would happen. Short of lighting incense and chanting, I was at a loss as to how to proceed. Then a couple things happened. I read Jason Alba's book, I'm on LinkedIn, Now What? Then I read David Meerman Scott's The New Rules of Marketing and PR. I added the lessons from each and went (in April, 2007) from 150 contacts then to over 1,700 today, from 1 group to 50 (yes, 50) groups, from no Q&A to "Best Answers" in 10 categories and being a regular Q&A user, from 5 recommendations to over 200, from a flat, short profile to one that, when printed, runs over 40 pages! In short, from not having a clue to starting to maximize the value of this really incredible tool. In my August 2008 seminar (Government Marketing Best Practices, version 7.0) I stated that any business magazine or association that does not have a social media back end is doomed, because they are natural online and offline communities. Today, hundreds of of business publications and associations have groups on LinkedIn. It is the ONLY major social media platform designed for business professionals. It is a natural home for business groups and publications. It is also a grossly under-utilized tool for many of those registered, but like me 2 years ago, these are people waiting for something to occur. Don't wait - act! I share my lessons learned in a 3 Cd set. It says it is for "B2G" (business-to-government), my market. But the lessons apply to anyone. Plug the CDs into your computer, get on to your LinkedIn account, and listen to the CDs while you navigate LinkedIn. Start maximizing the value of this totally cool tool for you and your business. As some of you know, I was with my family in London from June 19th until the 27th. It was a blast. Checking my email upon our return, imagine my surprise to find out I had won no fewer than 4 lotteries: Netherlands, UK (of course - I just got back), Swiss and Lottomatica (who comes up with these names)! Zounds - I must be rich! Not only am I now rich, but famous, too, as I have been nominated for the Who's Who in the Heritage Who's Who, the Presidential Who's Who, and the Starthnmore Who's Who. Wow, if I wasn't impressed with me before.....I am tingly all over. Will Colston from GovExec sent me an interesting email. Yesterday I delivered the keynote at the 10th annual SEWP conference in Austin, Texas. For those of you who do not know the government market, SEWP is a government-wide contract (GWAC in our parlance) for high-end information technology products. First - I had a great time. I learned that SEWP is not simply a contract and that the conference is not simply an event, but that SEWP is a community comprised of the SEWP staff, agencies buyers, and the contractors. These people know one and respect one another and truly enjoy themselves when they get together. Second- We have all been to events where have either been or seen the "fringe" people - those who are too new to an event to feel a part of it and who will go to their rooms for meals. This event did everything possible to be inclusive, with the SEWP staff acting as ambassadors, seeking out all the attendees. Third, looking at the agenda and talking to the attendees, I know that Joanne Woytek, Marcus Fedeli and the rest of the SEWP staff put together a great program, chock full of stuff people could use as soon as they got to the office. Finally - the content guy as keynoter. As soon as I hit the stage I felt at home. I knew some of the attendees from before, met several others at dinner the night I arrived, and I just felt good. It is not for me to say how I did, so I will ask some of the folks who attended to comment - but I had about 20 people come up to me after the speech to say how much they enjoyed it. As I was only there for about 20 minutes after I was done spoeaking, I think that I must have been OK.
All things considered, I am honored to have been a small part of the event. I have had several calls lately asking me if I knew of the B2G Institute. Then I got this google alert aiming me at an article highlighting the same B2G Institute as a company to avoid. Make your own decision - but read the article! I am a good speaker, but not a great speaker. I am known for content - stuff you can use, either right then and there, or whenever (if ever) you get to it. But I am a content guy, not a polished platform guy. Overall, I think it's fair to say that I am not your usual conference speaker. I dress in all black, wear cowboy boots (or black sneakers), and don't wear ties. I am easy to find as I am not small and dress this way all the time. Yet I am the keynote at the SEWP conference next week. For those of you who don't know what SEWP is, the NASA SEWP (Solutions for Enterprise-Wide Procurement) GWAC (Government-Wide Acquisition Contract) provides the latest in Information Technology (IT) products for all Federal Agencies. It is a truly great government contract and it hosts it's own event every year, and they asked me to keynote. Who was I to say "no"? And I will report back here next week to let you know how I did and what I told 'em. Patting oneself on the back isn't a bad thing. I have been known to do it myself. But starting a separate "independent" company whose main job seems to be patting you on the back is something else, especially when you make the assumption that people will either not find out or will not care. TechCrunch references a survey from PR Sourcecode that ranks the tech blogs allegedly used and preferred by PR agencies. The only problem is the #7 ranking...Meritalk, which is owned by the same company that owns PRSourcecode. Not hat I have an opinion. A couple items of interest to the B2G community. WWT is a major provider of Cisco, Sun and other high-end IT products to the government. The lineup is very impressive. This is regarding the economic recovery initiatives that are under way. Onvia is always a good source for this information. Onvia Webcast: Recovery Projects are Underway – How to Secure your Success. For those of you not familiar with http://www.startupnation.com/, is is an information portal for new and small businesses, filled with articles, podcasts, etc, from a variety of niche experts. Take a little time to browse the site. Marketing to government agencies traditionally has not been an activity for companies seeking quick returns—something that Jennifer Filipowski, exec VP-marketing at InterAct Public Safety Systems, is quick to point out. The Winston-Salem, N.C.-based company markets mobile data systems and computer-aided dispatch, emergency call-taking and mapping solutions to law enforcement agencies, fire departments and medical response teams. Well, it's here. Not exactly sure what "it" means, but it's here. 100 days have passed since Senator Obama became President Obama, and the big media want to know - Time magazine wants to know....what's different? Did President Obama pass the test? What test, you ask? The 100 day test, of course! 100 days. Who cares! This is yet another media measurement that means nothing. No wonder traditional media is tanking - it has so little to offer that it invents stuff. In two years will it be 100 hours? And when Twitter really takes over, it'll be what, 100 seconds? 100 characters? Get a grip, media folks. Analyze the news, tell us what is happening. Stop creating false measurements. but advice that is applicable to feds and contractors. 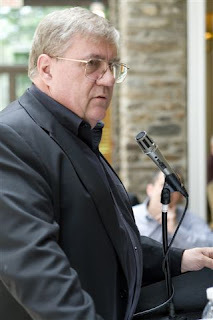 Also I interviewed Dr Mark Drapeau today for my show Monday at noon - Amtower Off Center on WFED 1500 AM in DC, archived and webcaast on http://www.federalnewsradio.com/ (the show will be up and downloadable AFTER it airs, Monday). Dr Dray is @cheeky_geeky on Twitter. Dr Dray (http://www.markdrapeau.com/) is one of the 4 who put together the Government 2.0 Camp last month (follow them now at http://www.government20club.org/) Also on the first half of the show was Maxine Teller (http://www.mixtmediastrategy.com/). The 2 who were not on the show (yet) who organized the show were Jeffrey Levy (EPA) and Peter Corbett (http://www.istrategylab.com/) . Dr Dray, Maxine & I discussed how the "camp" evolved and where it might go from here, and other web 2.0 stuff. Tremendously fun and informative interview. The NY Times reports Sun has been purchased by Oracle. What does this mean for the government market? Until 9/30/09 (end of FY) - nothing. The deal won't close until summer anyway, and no one wants to disrupt ANY end-of-FY deals. But they will be disrupted to some degree. Any pending deals for Sun's competitors are now in some jeopardy, as Sun now has the financial solvency of Oracle behind it. With a compelling product and solvency, Sun is now poised to regain marketshare. And Oracle's recent deals with Dell and HP? One can assume that these will not be vigorously pursued, but stranger things have happened. And what does this mean for the various channel partners (VARs, SIs, etc) of Oracle and Sun, who are not always the same players? This deal will be very interesting to watch as it unfolds. Give it a look, take some of the challenges to heart. I will be at the next Camp. I posted a question on about 20 of my government-facing groups at LinkedIn on FOSE: I simply asked what people thought of it. I did not attend FOSE this year as I was heading over to the UK that week and had some prep to do for my trip. - Mark, I did not go and haven't for a few years now. FOSE has lost interest for me because it became so hardware and even software vendor based. I'd much rather go to a homeland defense/homeland security conference and see the specific items designed for the fields of work rather than a generic IT conference. - I attended. Thought it was a good conference - presentations, keynotes, exhibit floor. Of course, I might be a bit biased as one of the presentations was mine. :-) The 1105 folks know how to put on a conference. - FOSE was a solid event this year. Industry particpation was down - but government attendance was strong - and the decision makers were throughout. Its been the best conference of 2009 so far. - I did go for two days and was disappointed with the turnout at the Gov. 2.0 presentation especially. - I thought that the show itself was pretty good. I didn't attend last year; however, most I have spoken with who attended last year and this year seem to think that this years show was a lot better than last years. I was only down there one day, but the foot traffic was pretty steady all day, and I really enjoyed some of the topics covered during the breakout sessions... by far, imho, the Web 2.0 panel discussion was great. -We were actually "exhibitors" at GovSec in the adjoining room at the Center and we were (literally) fifty feet from the connecting door... We received a ton of walk through our booth from folks headed to FOSE. They claimed that they had no idea of the co-joining and if the did they would have brought additional folks from their departments. Personally, I think there was a wonderful opportunity for synergy between the IT folks and Physical Security folks since those worlds are coming so much closer together... If they continue to co-join the events then they should sponsor some "joint presentations" showing the inter-operability of the two sectors... It just makes sense to me! - FOSE is not worth attending unless you are a big box provider. The big box companies: IBM, CISCO, HP, etc. dwarf any independents from gaining attention. Also, typical attendee is lower level government managers without control over funds who are there to get the swag handed out at the booths. As you can see, some liked the show and benefitted from it, others did not like the show. Part of this is the expectation and plan you have before attending. Part is the show itself. Events need to be a part of the government market landscape - no doubt about it. I prefer more focused events as a rule. If FOSE, along with GovSec, is to remain part of the B2G ecosystem, I think it needs a strong focus and a broader networking appeal - networking in both the web 2.0 sense and the traditional face-to-face sense. 1) year-round conversations (via web 2.0 platforms) on what FOSE needs. This will get grassroots feedback that should help planning. 2) continued emphasis on the educational/certification side. I was happy to see this get some emphasis this year. 3) a FOSE groups on various social networks, including FederalContractor.us, GovLoop.com and LinkedIn. 4) semi-related, but in the category of nothing to be done about it....I do not like the DC Convention Center and I am far from alone in that assessment. Parking is minimal and the layout is poor. Again - nothing to be done about this because there is no fall-back venue. This morning I attended a great event put on by Market Connections on winning government business. The panel was comprised of 4 market professionals and the Editor of Washington Technology (this is not to imply the editor is not a market pro, but he is a journalist, the others are front line folks). Lisa Dezzutti presented findings of the recent Market Connection studies on how contractors are marketing - great stuff and now my weekend reading! It was a great event for networking and the info was top notch. I got to ask a couple questions near the end - so I asked how many people in the room were on LinkedIn. Of the 75 or so B2G market pros, and nearly all raised their hands. Then I asked how many heard about the event on LinkedIn. About half had their hands up. And if they think this way about LinkedIn, what do they think of Facebook and Twitter? And yes, despite my rant last month, I am still on Facebook, and using it a little. I am also now on Twitter and have about 260 followers. I also use www.FederalContractor.us, www.GovLoop.com, www.BeltwayNetworker.com and a few others. But LinkedIn remains my social networking focus. I do not care if you do not wish to migrate where the world is moving. I do not care if you want your business to operate under marketing rules that were dying in the 1990s. I do not care if you are brainstorming in a closet with a like-minded sycophant. The market, and marketing, moves with or without us. I prefer being on the bus before it leaves the station. If you prefer otherwise, do not whine to me about it. And if you are not on LinkedIn, Facebook, Twiter, GovLoop, FederalContracting or BeltwayNetworking, you may not be hearing about to many events in the future. This is not my post, but notes from BuzzMarketingDaily about the conference last week in Austin - SouthBySouthwest, This was a major web 2.0 event attended by several of my totally web savvy friend - David Meerman Scott (http://www.webinknow.com/) , Alice Marshall ( http://technoflak.blogspot.com/ ), Debbie Weil ( http://www.debbieweil.com/blog), Geoff Livingston (www.livingstonbuzz.com/blog/ and others. As Web 2.0 tools gather steam in the B2G arena, I will be tapping into these folks and others (http://www.federalcontractor.us/, http://www.beltwaynetworker.com/ and http://www.govloop.com/ among them) on a regular basis. This is a very hot, emerging area and one we need to be on top of as marketers to the government. Back in Feb I wrote about the Economic Recovery event being offered in DC. I wrote about this 3 times, as it appeared to be a non-event, with no speakers and no real information. When you went to the web site, there was vistually nothing there; no real agenda, no speakers, etc. And then the venue kept changing and getting (seemingly) smaller. Well, they are back, and the subject line in the email was "Register Now - Billions in New Spending!" and the email was from "Recovery Summit ". This is now a 2 day event which desribes itself this way: "The American Economic Recovery Summit is designed to introduce the specifics of the federal government’s massive economic recovery programs to American business and to the American people. " I have yet to find someone's name associated with ANY of the emails that have gone out on this. Nor have any speakers been identified. Draw your own conclusion. I have drawn mine. re: My Facebook rants, also from February., in regard to facebook's privacy snafu. Well, I did not pull out of Facebook. A number of rasons, not the leats of which is there are many people there, who, for some reason, are not on LinkedIn. So, I am still there (sort of under protest), but I still concentrate the bulk of my social networking efforts at LinkedIn. Ahead of Facebook, the Federal Contracting Network (http://www.federalcontractor.us/) is now my #2 network. 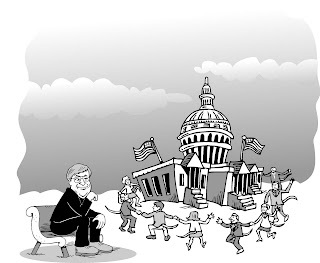 Don't you love it when all of the self-serving people in D.C. do their little rat dance? While not all are involved, many members of Congress & the lobbyists who push earmarks are little more than slimy things that crawl out from under rocks several times a year. In the Washington Post (Sunday, March 8) in both the Business and Outlook sections, there are book reviews. Outlook has eight (one starting on the front page, with pages 6 and 7 devoted to books - history, a memoir. science and more The Business section has one in Michelle Singletary's column. Keep it up, folks! It isn't book world, but they are trying. I've got to give credit to them and would love to see still more. "Mark, Is print advertising going to be dead in federal IT over the next 12 to 18 months? I still see print as a big brand building tool for folks like Lockheed Martin, Boeing, etc.yes it needs to be integrated with online and new media but it will never be replaced. Am I way off base?" "Your instincts tell you the same thing mine tell me. Space ads are already on life support and anyone telling a different story is living in a fantasy world. Possible space will die, but hopefully not. Can the big companies afford to the let print venues die? I don't think so, as none seem to have a strategy to live without them and their (the pubs) ability to reach a very broad audience. 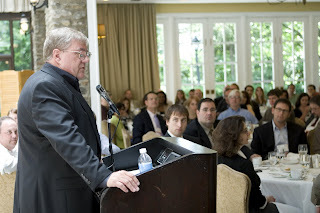 Last August (in my Government Marketing Best Practices seminar- http://www.federaldirect.net/order2008gmbp.html) I said that trade (niche) publications that did not adopts social networking strategy would die. There is still time - but they have to move FAST!!!" In the GMBP seminar last summer, I pointed out that trade publications (and trade associations) serve a niche, a community of people who share a market. These commonalities are perfect for creating a social network so the proactive professionals in that community could better interact. Further, I said that these communities were going to occur with or without the publications. I said straight out that trade publications and associations that do not adopt a social network on the back end of their publication or group would cease to exist. Information dissemination and digestion is changing, and it is changing fast. Since that time we have seen the birth of two social networks in our market: www.FederalContractor.us (aka TFCN, The Federal Contractor Network, which serves the contractor community) and www.GovLoop.com (which serves primarily a Federal employee audience, with some contractors). These are robust forums and each is growing. I don't think we can afford to see the demise of trade publications, as the quality of the information they provide is critical to the decision making process in the government and contracting communities - in our shared community. Each of the publications that serve this market provides the vital intellectual nourishment required for us to collectively grow. I am not referring to unfettered, unregulated growth of government spending. I am referring to the growth of a joint community that better serves the needs of the government and us as citizens. If somehow you have missed it, FOSE occurs next week at the DC Convention Center. Over the last several weeks radio spots for FOSE were saying the expo was "free for DOD and Federal employees". The FOSE web site now says the expo portion is free for DOD, Federal employees and government contractors. This is not the first time this reversal has occured. A few years back, under the previous owner (Post Newsweek Tech), FOSE did this when the contractor community balked at paying $50 to see exhibits. It seems overall attendance may be down again, and the last minute jolt might help. I understand the need to monetize the event in as many ways as possible, but charging contractors for the exhibits does not work and with fewer people in the exhibit halls, the show floor looks like a ghost town. I will not be attending for the 2nd time in 25 years. I will be leaving the country on the 11th and will have several things to do prior to that. Even if I were in town, there are fewer reasons for me to attend. High among my reasons for not attending is the lack of parking in the vicinity of the DC Convention Center. I hate going there. Whoever designed this place had an obvious Metro bias which does not servve the best interests of the event producers. Last year I was at FOSE to do a live radio broadcast from the show floor, and it was fun having several of my friends who were exhibiting as guests on the show. This year my radio station - WFED, www.FederalNewsRadio.com - opted not to go, as did some of the exhibitors who were on my show. I would like FOSE to succeed, but the age for the mega-tech show may be passing. MacWorld and others are going away. Some tech trade pubs are folding. VAR Business just put out its last issue and will now be part of CRN. If companies have marketing dollars, apparently they are looking for other places to spend them. FOSE must reinvent itself if it is to survive. It would be great to have one big event that attracted the IT community (other than the Input holiday party), but it is going to take some radically new thinking. The ANC issue has to be dealt with and the SBA best get on its monitoring hat with similar programs. I opened my Sunday paper this morning and started arranging, by section, the paper for my breakfast. I knew this was coming but did not know when. I usually get up before everyone else so I can have some quiet time with the paper. For the last three decades I began my Sunday reading with Book World. And today it was not there. It has been the only section of the Washington Post that I would thumb through page by page every time I saw it. It was always filled with great reviews and it was a great way to start Sunday. If Mrs Graham was correct, that the mark of a great paper was the book section, the Post has migrated down the food chain. The Government Media and Marketing Networking Reception is Tuesday, Feb 24 at 7:30 AM at the Tower Club is Vienna, VA. To register, go here - http://www.eventbrite.com/event/263857204. I would suggest registering now as this may sell out. This is a reception - not a lecture. You can meet and talk to editors, reporters, radio hosts and a few PR folks. Tony Welz & Evan Weisel put on great events. If you attend, look for me. 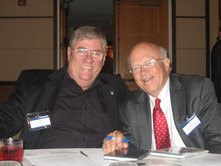 My radio show Monday (noon, 1500 AM, simulcast at www.FederalNewsRadio.com ) features Louis Numkin and Gretchen Morris of FISSEA, the Federal Information Systems Security Educators Association. The 22nd annual FISSEA conference will be held at the Gaithersburg, MD Capus of NIST March 24-26. These are great people who work tirelessly to get the word out on computer security in federal agencies. They also provide in-agency education on all things related to computer security and are big advocates of the various security certifications available. I have been watching them for almost 20 years, ever since Lynn McNulty (who then worked in Dr Jim Burrows Computer Security Lab at NIST) told me about them around 1991. Time flies when you're having fun! The ASBC held two Business Over Breakfast events this week: the usual one at the Tower Club on Wednesday (with over 40 people), and then one this morning at La Madeline in Columbia, MD (with about 12 people). I was lucky enough to atend both. If you haven't attended one, come next Wed to the Tower Club, but pre-register at www.TheASBC.org . I know I was late getting the news about Facebook and the privacy issue. I also know I have made a few very minor waves about my pending FB departure. I was thinking about reducing the number of social networks I was in anyway, and this event expedite the decision process and highlighted which one I would vacate. I don't see FB making the B2B cut in the long run. I really don't want people "writing on my wall," or getting "poked." The site was built for the college crowd, not professionals, and the retrofit doesn't make the cut - at least for me. That being said, earlier today I got my March Fortune magazine in the mail, and lo and behold, who is on the cover but FaceBookBoy - with nary a mention on the privacy snafu. The publication was probably at the printer when the privacy stuff hit the fan, so I certainly understand. And I assume when I go to the Fortune web site they will be all over this. no this is not going anywhere in particular. Just some random connections. And btw: the Facebook article in Fortune by Jessi Hempel is great! "The change allows Facebook to keep user content such as photos and phone numbers even if members delete their accounts. Under the old terms, the license expired when users left Facebook." "We wouldn't share your information in a way you wouldn't want." And just, pray tell, how the hell do you know what I want??? Their objective, apparently, is "continuity" - so others can continue to contact you. Well, continuity boy, I am easy to find on the web, and Facebook is one place you will no longer find me. While I am fairly certain they will reverse this policy, they will do it without yours truly. Amtower is leaving the building. Adios Facebook. Here's hoping you soon become a footnote on how not to do things in social networking. If anyone would like to add a verse…feel free. Aside from having a cold this week and taking a few naps, the week was fairly productive. Although I missed the ASBC (http://www.theasbc.org/) Business Over Breakfast Wednesday, I did speak the the Coalition for Government Procurement (http://www.thecgp.org/) MAS Bootcamp that afternoon to a group of 30 or so. And it was a really good event. I did attend the ASBC quarterly State of the ASBC meeting Friday, and the ASBC Board of Advisors meeting after the general session. There was a great group of 65+ for the general members-only session. and I'd like to thank each of them. Finally, we have finished producing our two latest audio programs and we will have those available to ship next week. The first, The Ulitmate Jumpstart Program for Getting PR is a 5 CD set with me being interviewed by Guy Timberlake for the first 4 CDs, and by Glenn Garnes of http://www.perfectnetworker.com/ on the final CD. Why interview me on this? Over the past 14 years I have appeared in about 200 publications and over 150 web sites and ezines. I have also been interviewed on over 50 radio stations (including web radio) web around the country, and in Canada and the U.K. I know how to generate publicity and show you exactly how I do it. The second program is a 2 CD set called The Ultimate Jumpstart Program for Social Networking, where Glenn Garnes again interviews me on my use of LinkedIn. Cjheck out my profile on LinkedIn and see what I am up to in social networking. If you can't wait until next week to place an order, email me at markamtower gmail com. Have a great weekend, wherever you are! Vaya con dios! I did not have to wait long for the next message - it came this morning at 10:38 AM with a new sender - ChangeMaker Series, and a new subject line - Economic Stimulus Briefing . But it connected to the same event page, which still lists no speakers (not the keynote of any of the general session speakers) and no topics. Check out the previous posts for this: Feb 3 & Feb 11, and let me know what you think. Got another e-invite to this event. Since my Feb 3 post on Equity International's briefing for The American Recovery & Reinvestment the registration fee has dropped from $495 to $250, there are still no topics or speakers listed in the agenda, and the venue has changed from the Willard Hotel to the Occidental Grille. Might one assume registration is off for the event promising "the latest information from key leaders on the bill and the resulting spending. Features Congressional and Administration leaders; top experts; key briefing materials; and unparalleled networking."? Will my e-invite Friday (the event is next Monday) be for $1.95 and the new venue be the back table at a local Starbucks? Isn't there always unparalled networking at Starbucks? I would go see Mac, except that I am speaking at the Coalition for Government Procurement Bootcamp that day. Details at http://www.thecgp.org/. The American Small Business Coalition is having its quarterly members-only State of The ASBC this Friday. 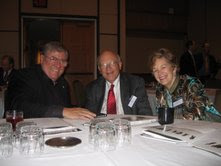 If you are an ASBC member, or wish to join, go to http://www.theasbc.org/. 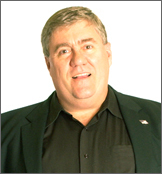 Finally, my new audio program, two CDs entitled The Ultimate Jumpstart Program on Business Social Networking, will be posted later today in the member section at http://www.governmentmarketingbestpractices.com/ where it will be free for members to download during the month of February. For non-members, it will also be posted at the the store at Government Express - http://www.governmentexpress.com/store.html. It will be available as a download and you can also order the CDs. The program is approximately 2 hours on why and how to use social networking tools for business. It includes step-by-step instruction for novices and pros alike to expand their reach and influence. I listen to audio programs several times a week when driving and occasionally when I am in the office. I have over 150 audio programs covering many aspects of business, motivation, speaking, writing, and more and there is always one in my car. Finally, my friends at Onvia have a new report, The 2009 Government Market Outlook, discussing where money will be spent in the government market. You can get the report free from their web site - www.Onvia.com. Recently I have had conversations with alleged industry thought leaders and mavens who are loathe to acknowledge social networking as a legitimate business tool. As a result, these people are being marginalized and replaced without knowing why or how this is happening as well as that it is happening. These people are not simply not participating in social networks, but actively demean social networks and those who use them at every possible turn. This type of voluntary ignorance will result in the Darwinian elimination of these people as thought leaders. These people are assuming several things about social networks predicated on outdated notions that may have been true when MySpace was the only network out there. These myths are perpetuated by the voluntarily ignorant, but that’s OK – they are simply making way for a new generation of thought leaders while they themselves face extinction. I will not attempt to refute these on a line-by-line basis, but suffice it to say that those who believe these and other myths have missed the Web 2.0 boat, and they will be staying on Fantasy Island a while longer. It is not incumbent upon me to attempt to educate the voluntarily ignorant, especially when they are obstinate in their ignorance. I have halted my efforts in educating these people and as a result have reevaluated their position in my universe. When they marginalize social networks and those using them, they have marginalized themselves in a way that they may never see. When and if they finally get a clue and test the Web 2.0 waters, they will find themselves not only behind the curve technologically, but out of the thought leadership loop they thought they were driving. I got an email today from a company I have not heard from in a long while - Equity International. The first time I heard of and from this organization was an email right after 9/11, with a similar offer. Today the subject line said - "Invitation to The American Recovery & Reinvestment Briefing." When - next Wednesday, 2:00 PM- 6:00 PM. But don't worry - it's "Brought to you by Equity International, organizer of The Presidential Inauguration Conference last month: .... More than 35,000 leaders have participated in Equity International’s highly-regarded forums." So, in summary - you can spend several hundred dollars to hear speakers TBA, in sessions that are "general" and "unapralled networking" at the reception. The Meet/Network with the B2G Press event I referenced a few days ago now has a web site for registration - http://www.eventbrite.com/event/263857204. I would suggest registering early as this will sell out. If you attend, look for me. My radio show Monday (2/2/09) will feature Bob Woods, CEO of Topside Consulting (www.topside-consulting.com). Bob is a former Federal CIO (GSA, VA, others) and we thoroughly discuss what the transition means to both senior Feds and the contractor community. This is a good interview. The show airs at noon Monday on 1500 AM in Washington, DC and is simulcast on www.FederalNewsradio.com, where it will also be archived. On Monday, Feb 9, my guest will be Kevin Plexico of Input. I will be in the February issue of Washington Technology...comes out Monday. At another 1105 media property, Wyatt Kash, editor in chief of Government Computer News (www.GCN.com , also takes the top spot at Defense Systems magazine (http://defensesystems.com) while retaining his role at GCN.